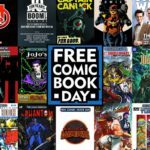 For a number of years, our Book Sale Chair, Ron McFee, has assisted in the distribution of thousands of comic books to our San Diego Public Libraries for National Free Comic Book Day; IDW Publishing, headquartered in San Diego, has been supplying the Free Comic Books for this annual event. IDW Publishing is an American publisher of comic books, graphic novels, art books, and comic strip collections. THANK YOU IDW! The first National Comic Book Day, May 4, 2002, was coordinated with the opening of the “Spider Man” feature film. It is annually celebrated on the first Saturday of May. 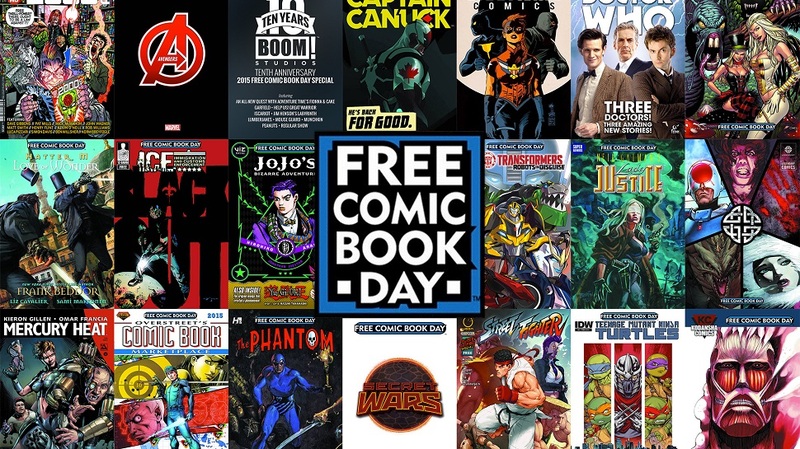 Comic book publishers create unique editions just for this event. Did you know that Wonder Woman is 78 years old this year? COMICS, A literary form read world-wide, was first introduced to the American public in 1842. But not until 1934, with the publication of the first comic books and the 1938 introduction of Superman, did the Golden Age of Comics begin. As a youngster, Ron McFee, became hooked on comic books. He describes himself as, “A natural bookworm,” and says, ” I loved the picture and story combinations found in comic books.” He credits his immersion into the stories of superheroes and their nemeses, to his early vocabulary development, advanced reading level, and ultimate career choices. Ron is also active with the production of San Diego’s Comic-Con. Our Managing Librarian David Ege, is also a Comic Book enthusiast. Together, with the generosity of IDW, they have supported this fun event, which is now enjoyed at all San Diego Public Branch Libraries.